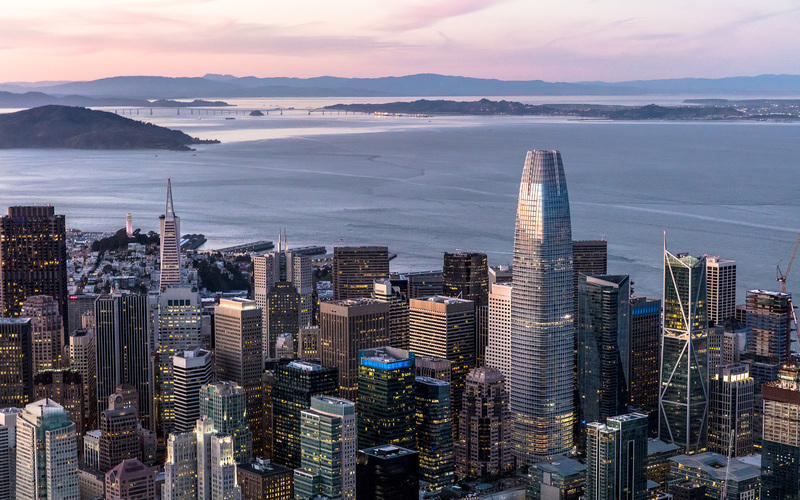 Salesforce Tower is located in the financial district of San Francisco, California, a burgeoning technology sector hub. 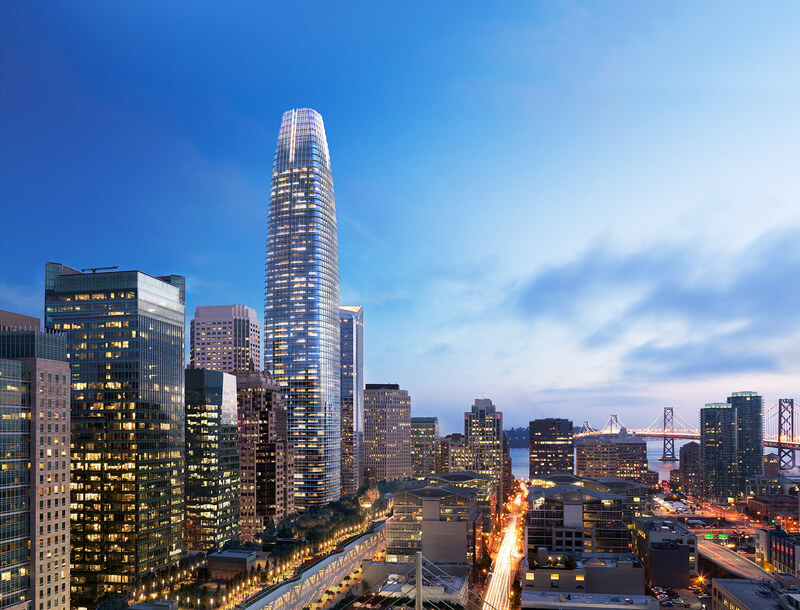 The structure rises 1070 Feet above the street level, making it the tallest San Francisco landmark. 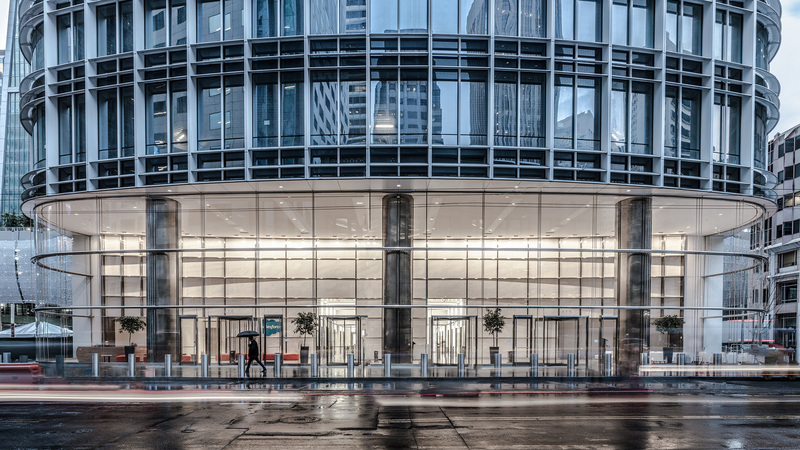 The tower has 1.4 million square feet of Class A speculative office space over 61 leasable floors accessed by 28 high speed passenger elevators. The project is certified LEED Platinum incorporating high efficiency mechanical systems coupled with under floor air distribution. High efficiency Low E insulated glass units extending floor to ceiling with exterior sunshades incorporated into the façade shield the building from solar heat gain while preserving fantastic views of the bay area. Water collection and filtration systems are utilized to lessen the burden on the current infrastructure. 3 subgrade parking levels with dense parking stacker technology are planned for implementation making best use of the available space. Extensive bicycle parking and shower facilities are provided for tenants as a part of the Owner’s commitment to the environment. 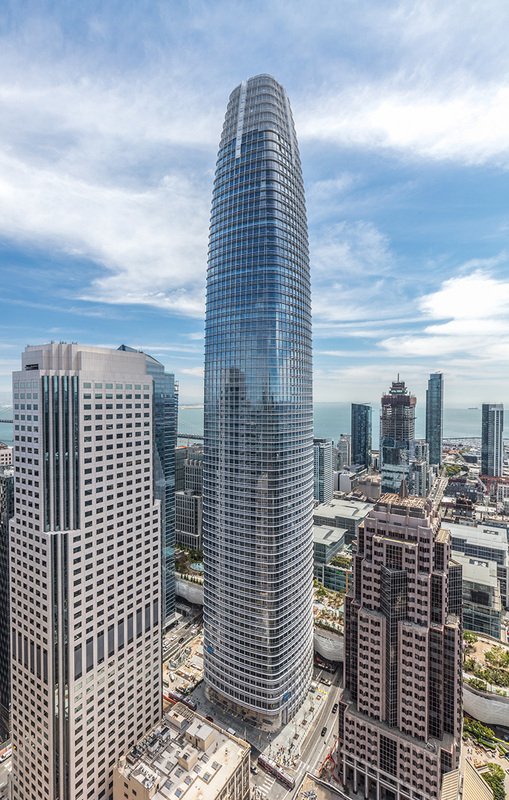 The tower is located adjacent to Mission Square, the main entrance to the Transbay Terminal dubbed “Grand Central Station of the West.” The square is a new public redwood tree grove with a 25 Person Gondola accessing the 5.4 acre Transbay Terminal roof top park. Tenant park access is also possible via the 5th level pedestrian bridge between the 2 projects.